Expected an in-screen fingerprint sensor in Samsung Galaxy Note9, which is slated to debut in the second half of 2018. It's been close to a month since the Samsung Galaxy S9 series was officially released in global markets. 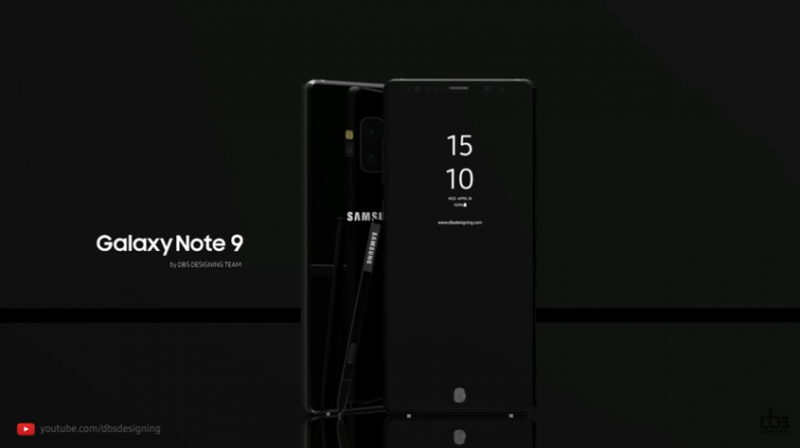 Now, media and fans are turning their attention to the company's new offering, the Galaxy Note9, which is slated to come in the second half of 2018. The Galaxy S9 series is one of the most gorgeous, if not the best-looking, phone in the market. But, except the change in fingerprint location, it's pretty much same as its predecessor -- the Galaxy S8. This apparently is why, despite having a top-notch camera, it has received a lukewarm response from buyers. 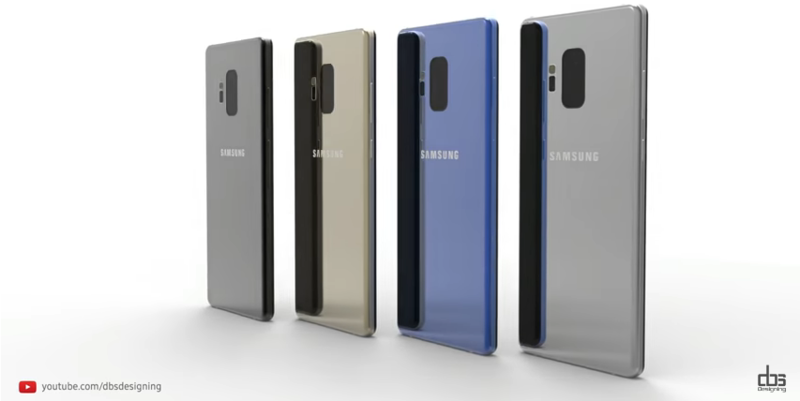 Now, people are keeping their expectations high from the Galaxy Note9 to turn things around for Samsung, and rumor has it that the company might even advance its launch event by a month to offset the slow Galaxy S9 sales and also get additional store-shelf space and time before Apple debuts the 2018-series iPhones. But, there is very little information on what the Galaxy Note9 will look like or the hardware it will come with. Now, graphic designer Muhsin M Belaal Auckburaully from DBS Designing has done an awesome job of filling that void by creating an impressive concept video of the product. Auckburaully has put in a great deal of effort in researching current trends in the smartphone market and also the evolution of the Galaxy Note series to make the video. In the short clip, which runs for close to three minutes, the Galaxy Note9 looks absolutely stunning with a good blend of glass and metal. It features a rectangular candy-bar shape with rounded corners and color variants — black, blue, gold and silver, all of which look visually appealing. Even the S-pen, which hides and slips through the dedicated pocket in the bottom right corner of the phone, is also shown in matching colors. On the front, the curved display perfectly cascades into the middle of the rim on both the left and the right side, while the bottom and the top bezels have been reduced greatly compared to previous versions, making the Infinity display even more pleasing to the eyes. What's striking is the incorporation of an in-screen fingerprint sensor in the display panel, which illuminates when touched to show where to put the finger. Once the phone is unlocked, it disappears into the home screen's wallpaper. Overall, the Galaxy Note9 video looks really great. What makes this impressive is that it's not a product of wild imagination: all the features, such as an in-screen biometric sensor, a bezel-less display, and matching S pen colors are all practical. Samsung, which has a big R&D team dedicated to just the mobile division spread across the world, can turn these wishful features into reality in the Galaxy Note8 successor. Stay tuned. Follow us @IBTimesIN_Tech on Twitter for the latest news on Samsung products.